It is serendipitous that the subject of this week’s #FriFotos is waterfalls. I recently returned to my favorite local waterfalls, Great Falls, where the Potomac River separates Maryland from Virginia. 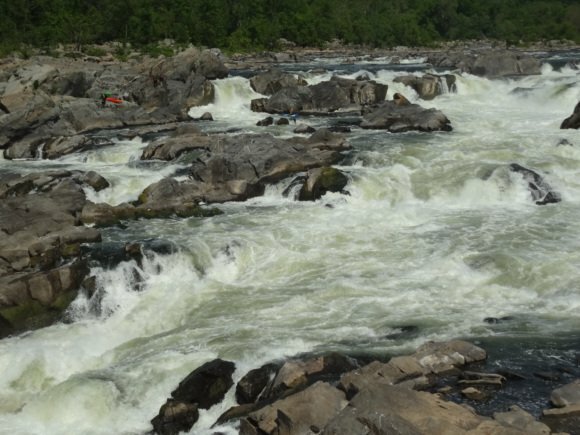 Great Falls is part of two national parks – Great Falls National Park, which is accessed from the Virginia side, and the Chesapeake and Ohio Canal National Park, which is accessed from the Maryland side. Both sides afford you awesome views of the falls. Looking closely at my photo above, you’ll notice that there are some kayakers preparing to go into the falls. Olympic-caliber kayakers routinely practice drops and rolls in the falls. Here is a video from YouTube that gives you a sense of the sounds, depth, and breadth of Great Falls.